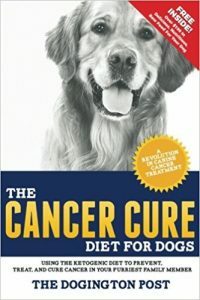 Natural remedies and healthy alternatives have become increasingly more popular to prevent diseases and aid ailments that cannot be cured, such as anxiety from loud noises, being home alone or that transitionary period after bringing home a rescue. 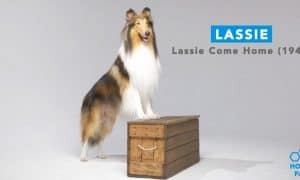 From the day you bring your furry friend home as a puppy, there is an instant connection – an unconditional and loving bond between you and your dog that cannot be broken. Just like any other member of the family, we only want what is best for our pets and to give them everything they need to live a long and healthy life. 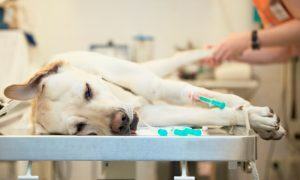 Below are some of my favorite natural remedies for dogs. Always consult your dog vet before introducing a new element to their diet as it could conflict with current medications they are taking. These popular dog treats contain cannabidiol, also known as CBD, a naturally occurring compound found in both Hemp and Cannabis plants. Most treats on the market are derived from Hemp plants, which is legal across the globe (except in Canada). Treats containing CBD are beneficial for dogs because they interact with their endocannabinoid system – a regulatory system known to affect bodily processes such as anxiety, mood, pain, digestion, inflammation and sleep. For dogs experiencing anxiety, CBD treats can be a great dietary addition that can also help aid joint pain, restlessness and fear. The power of music and its connection to the emotional state of humans has long been acknowledged. However, we have only recently noticed the connection between music and animals. 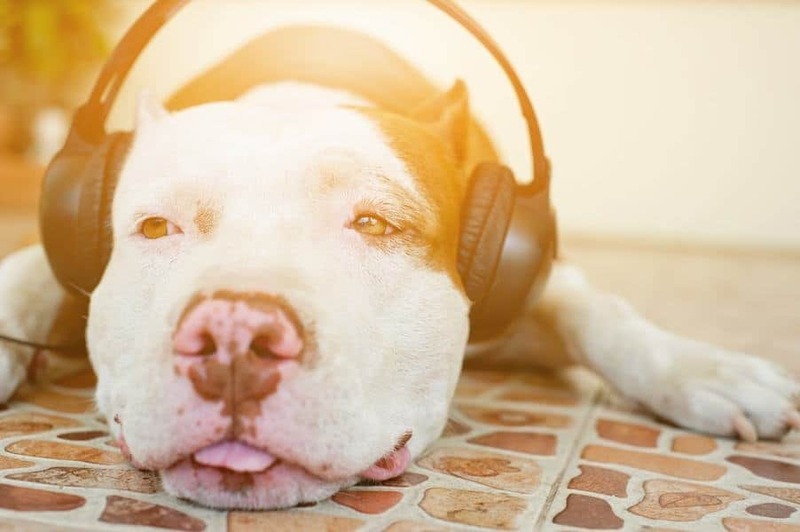 Music addresses the physical and emotional needs of individuals and can have a profound effect on animals experiencing anxiety, fear and loneliness. 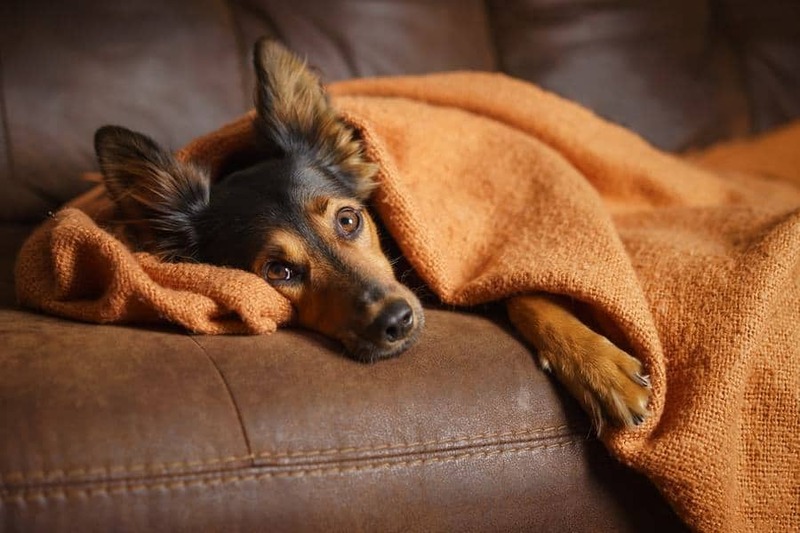 Classical music, more so than any other auditory stimulus, has been shown to decrease anxiety in dogs, whether it is being caused by loud noises or leaving them at home alone for extended periods of time. Playing classical tracks such as “Requiem” by Mozart, “The Approaching Night” by Phillip Wesley, or “The Open Door” featured on Wholetones, for your pet can significantly decrease their anxiety. It is best to turn on the music before a storm or fireworks begin. 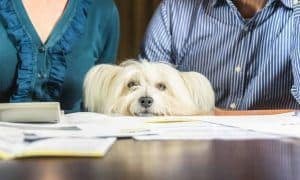 Additionally, many individuals who choose to leave music playing while they are at work or traveling, find that their dog’s symptoms of separation anxiety lessened when they returned. 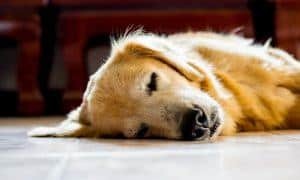 Many individuals already use essential oils and diffusers to relieve stress or help with sleep, but they can also have an overwhelmingly beneficial effect on pets as well. 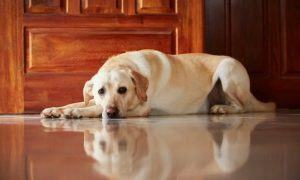 Dogs have an incredible sense of smell and essential oils released in a diffuser can be smelt immediately. Small batches of essential oils can help calm and focus dogs during training when they are puppies, ease discomfort during travel, reduce fear during thunder storms or fireworks, and can uplift their spirits when they are going through loss, separation or new home transitions. 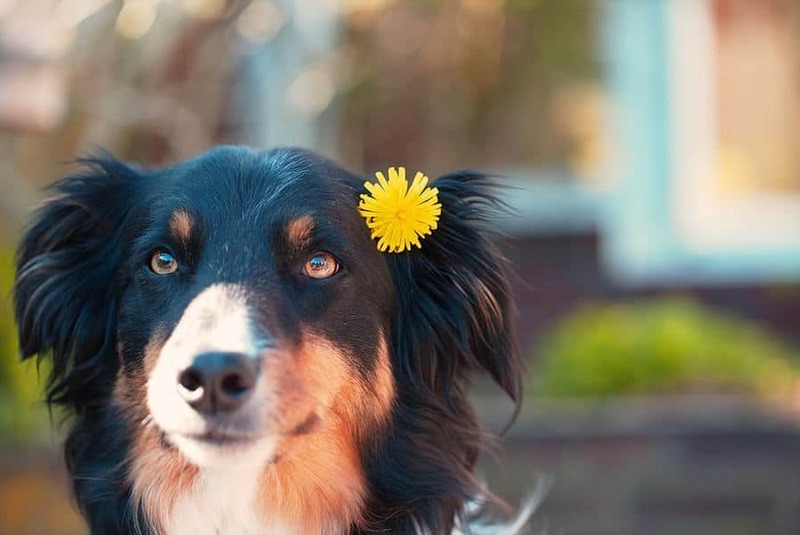 Calming essential oils include lavender, chamomile, frankincense and jojoba – and the best part is that you can create your own blends based on which ones have the most profound and beneficial effect for your dog. Homeopathic therapy and the use of flower essences along with other herbs, has have been used for medical purposes for hundreds of years. Homeopathy is widely practiced throughout Europe and the remedies are produced by repeatedly distilling plants and minerals in water or alcohol. 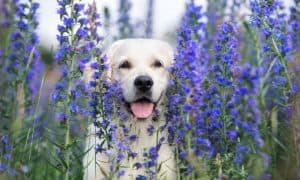 Wolf’s Bane – Scientifically known as Aconitum Napellus, can help canines with anxiety or fear, especially after a frightful or traumatizing event. Yellow Jasmine – Also known as Gelsemium, is a great homeopathic remedy and can be used when your dog is shaking with fright or nervous in anticipation of guests coming over or owners departing for a trip. Honeysuckle – A shrub known as Lonicera, which can be distilled and used to help your dog overcome loneliness or help adjust to a new home. Michael S. Tyrrell is the founder and president of Wholetones, Inc., a healing frequency music project that helps aid health, creativity, productivity and wellbeing. Passionate about inspiring others, Michael travels nationally and internationally as a key-note and motivational speaker on the power of music. It has been known that essential oils can be detrimental to a canine. 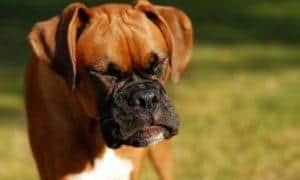 From the information of a veterinarian, there was one dog he was treating that had died from liver failure due to the fact that the caretaker was giving lavender oil to a dog. What interesting information!! I had no idea about the cannabis infused treats, very interesting indeed! 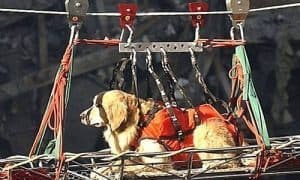 Thanks for a great article and giving me some ideas to help my rescued Pit Bull who was beaten and dumped to die under a bridge. Thankfully he was able to find his way to me and we've been together for almost 5 years now! He still has some fear aggression around people he doesn't know and has what I equate to PTSD flashbacks when he hears certain sounds and since I already use essential Oils I will definitely be incorporating some for him into our diffusers! !